Guidance is provided in a European setting on the assessment and treatment of postmenopausal women at risk from fractures due to osteoporosis. The International Osteoporosis Foundation and European Society for Clinical and Economic Aspects of Osteoporosis and Osteoarthritis published guidance for the diagnosis and management of osteoporosis in 2013. This manuscript updates these in a European setting. 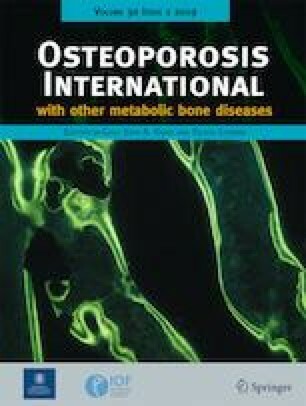 The following areas are reviewed: the role of bone mineral density measurement for the diagnosis of osteoporosis and assessment of fracture risk; general and pharmacological management of osteoporosis; monitoring of treatment; assessment of fracture risk; case-finding strategies; investigation of patients; health economics of treatment. The update includes new information on the evaluation of bone microstructure evaluation in facture risk assessment, the role of FRAX® and Fracture Liaison Services in secondary fracture prevention, long-term effects on fracture risk of dietary intakes, and increased fracture risk on stopping drug treatment. A platform is provided on which specific guidelines can be developed for national use. We are grateful to the IOF Committee of Scientific Advisors and the Committee of National Societies to the ESCEO Scientific Advisory Board for their review of this paper and its endorsement. The paper updates the earlier guidance of 2013  ‘European guidance for the diagnosis and management of osteoporosis in postmenopausal women’ and many sections of text are reproduced with kind permission of from Springer Science and Business Media B.V. 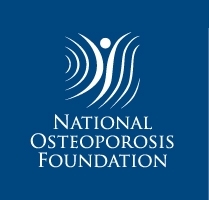 The summary and recommendations are in close accord with those established by the UK National Osteoporosis Guideline Group  of which JAK and CC are members. JAK reports grants from Amgen, Eli Lilly and Radius Health; non-financial support from Medimaps, and Asahi; and other support from AgNovos. JAK is the architect of FRAX® but has no financial interest. CC reports personal fees from Alliance for Better Bone Health, Amgen, Eli Lilly, GSK, Medtronic, Merck, Novartis, Pfizer, Roche, Servier, Takeda and UCB. RR has received consulting fees or advisory board fees from Radius Health, Labatec, Danone, Nestlé, CNIEL and Sandoz. J-YR has received advisory board or consulting fees from IBSA-Genévrier, Pierre Fabre, Radius Health, TEVA and Mylan; and lecture fees from Anovos, IBSA-Genévrier, Mylan, CNIEL, Dairy Research Council (DRC) and Theramex; and institutional grant support from IBSA-Genévrier, Mylan, CNIEL and Radius Health.